Meat free cooking and life blogging by the "lovely & talented" Mathew Guiver. You could say I’ve become a bit obsessed with making my own seitan. The cheapskate in me can’t help it. Store bought packages of seitan are like eight bucks, and you there are usually only two or three different flavors at my Whole Foods. Vital wheat gluten, on the other hand, sells for $5 and you get a bag that makes 4 good batches of seitan. So it’s significantly cheaper, you can create whatever flavor you like, and you don’t have to worry about excessive preservatives, and artificial flavors. I actually really like this ground seitan recipe. 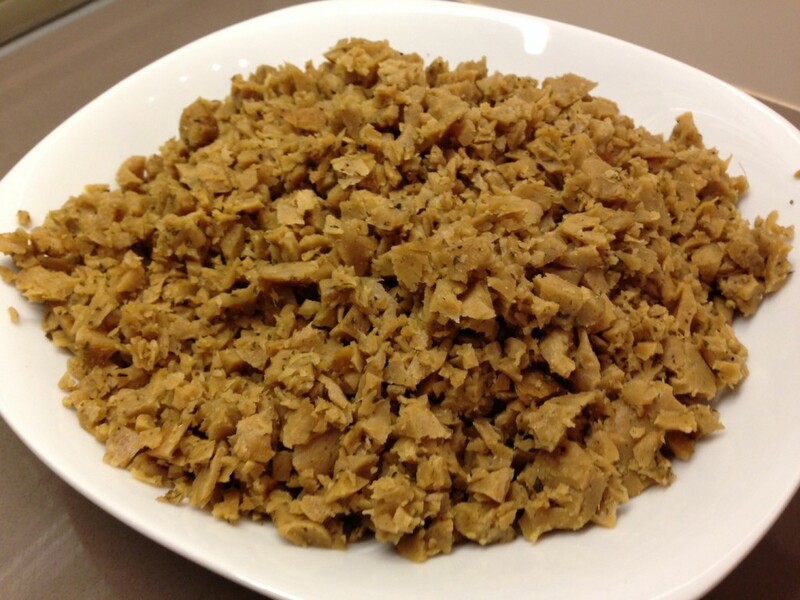 It has a great poultry like flavor, and can be used as a replacement for ground turkey. I like making it in double batches, as the seitan itself will stay good in the refrigerator for about a week. Then, I can easily whip up tacos, burger patties, or a meaty red sauce with homemade seitan any night of the week. 1. 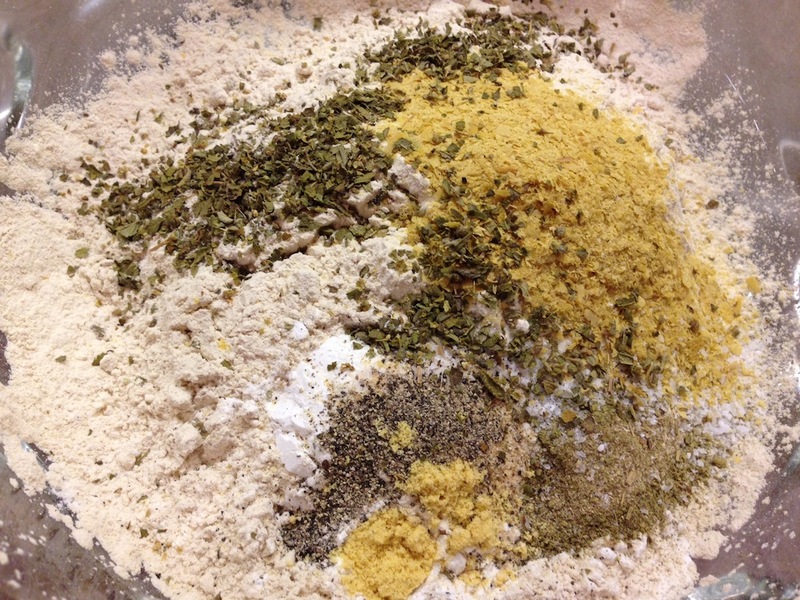 Start by combining wheat gluten, tapioca starch, nutritional yeast, onion powder, garlic powder, salt, poultry seasoning, black pepper, mustard powder, and dried oregano in a bowl. 2. 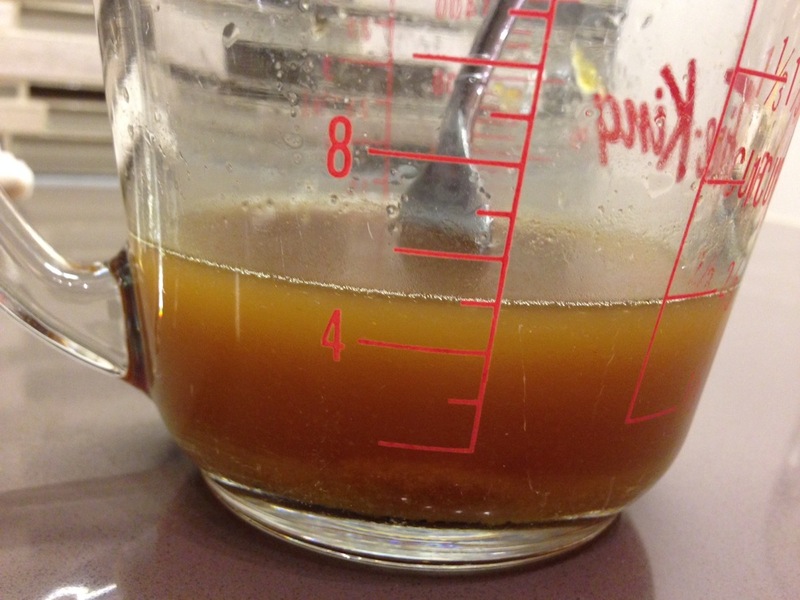 Measure out your vegetable stock, then add bouillon base, liquid smoke, soy sauce, and warm water. Whisk until smooth. 3. Slowly add liquid to dry ingredients. 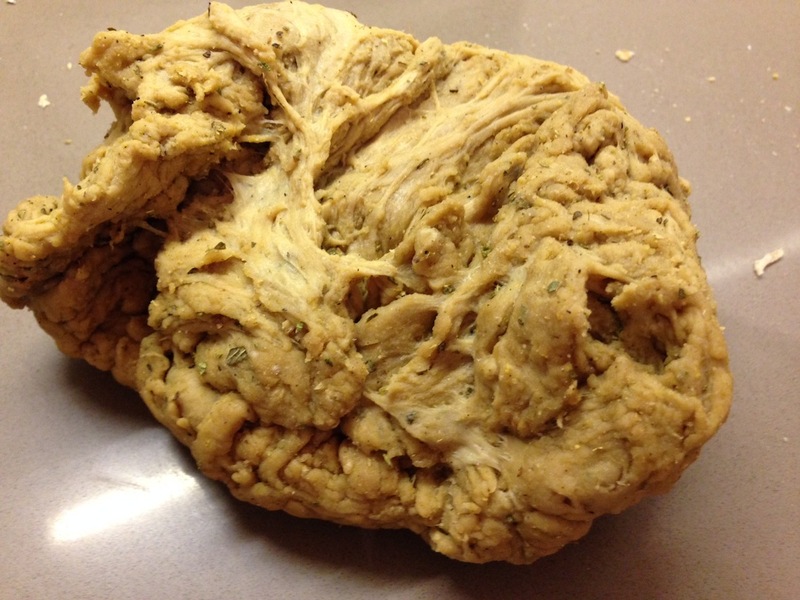 Mix with a fork for as long as you can, then work the seitan dough with your hands. Turn onto a dry surface and knead for about 5 minutes. 4. 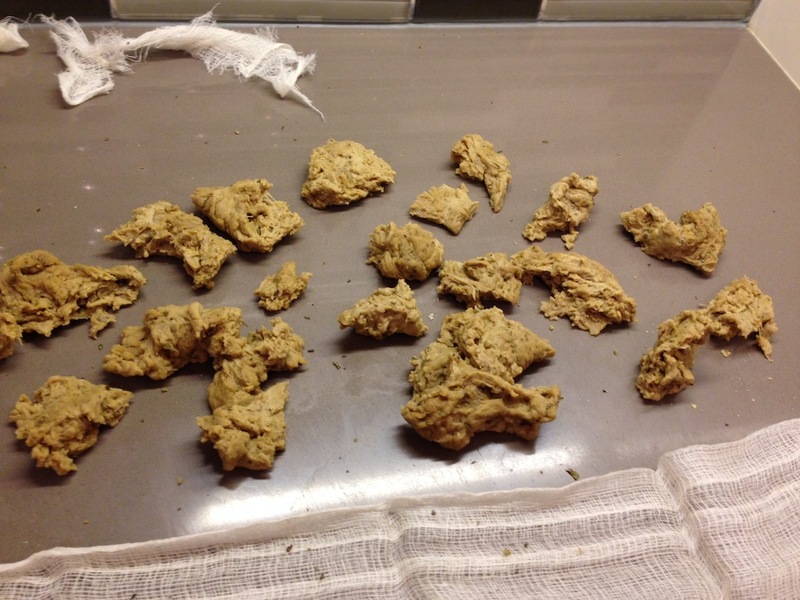 Rip the seitan into pieces about an inch in size. 5. 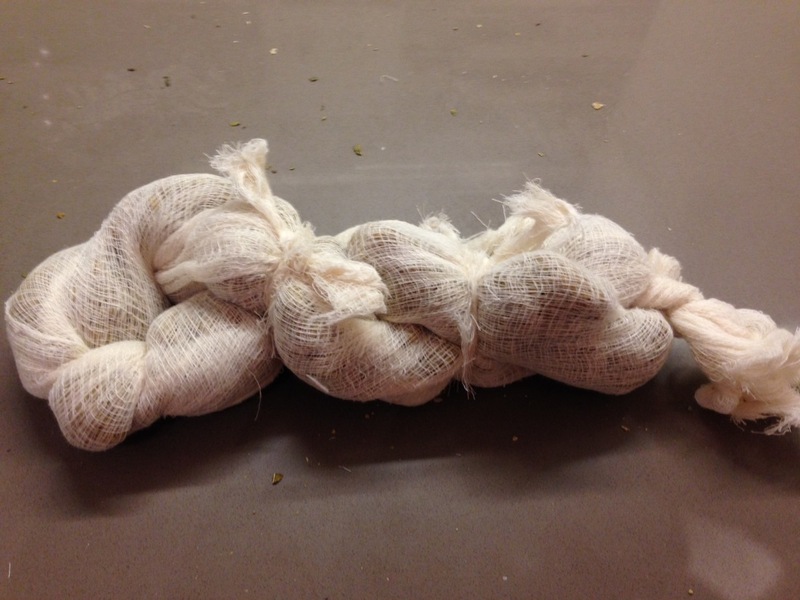 Lay the pieces out on a strip of cheese cloth, then wrap the seitan in the cloth and tie the ends. 6. In a large pot combine all of your cooking solution ingredients. Bring to a boil, then add your seitan. 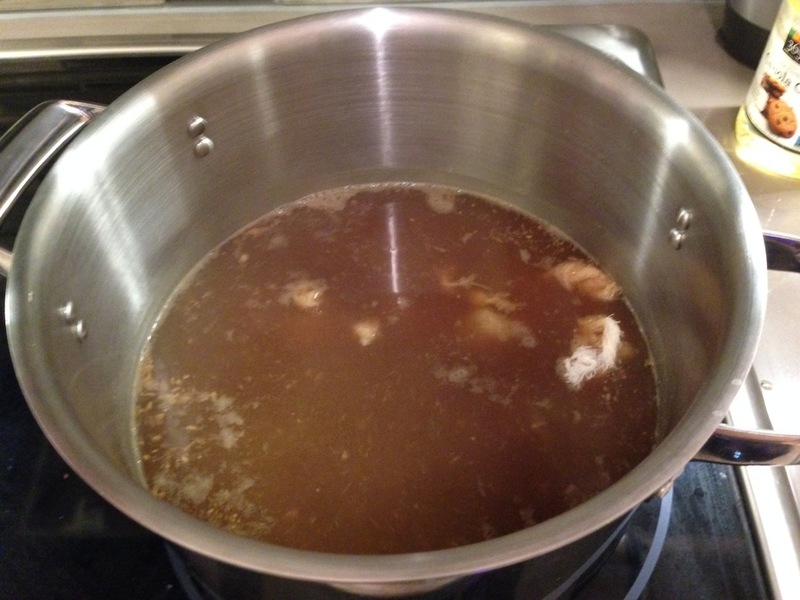 Once the liquid returns to a bowl reduce the heat to medium, cover, and let simmer for 40 to 50 minutes. Occasionally lifting the lid to flip the seitan. 7. 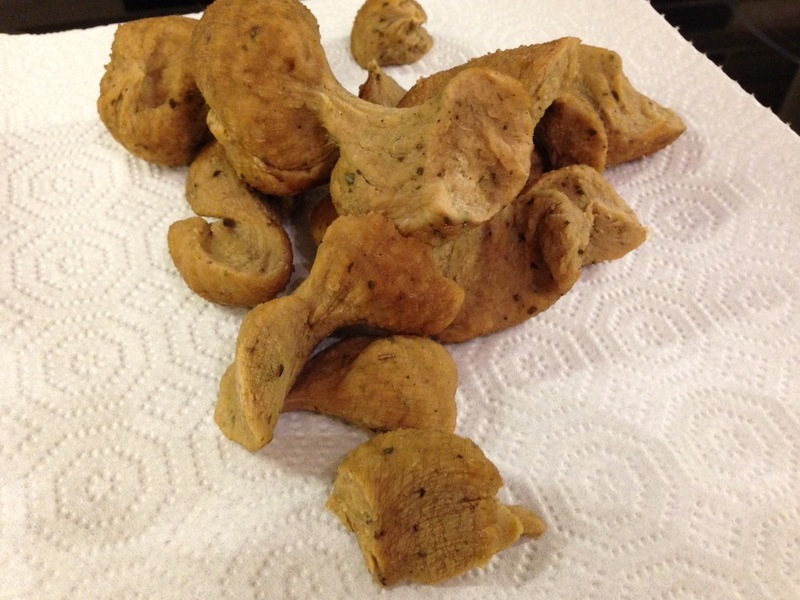 Remove seitan from cooking liquid and let rest on a pile of paper towels for at least 30 minutes. 8. 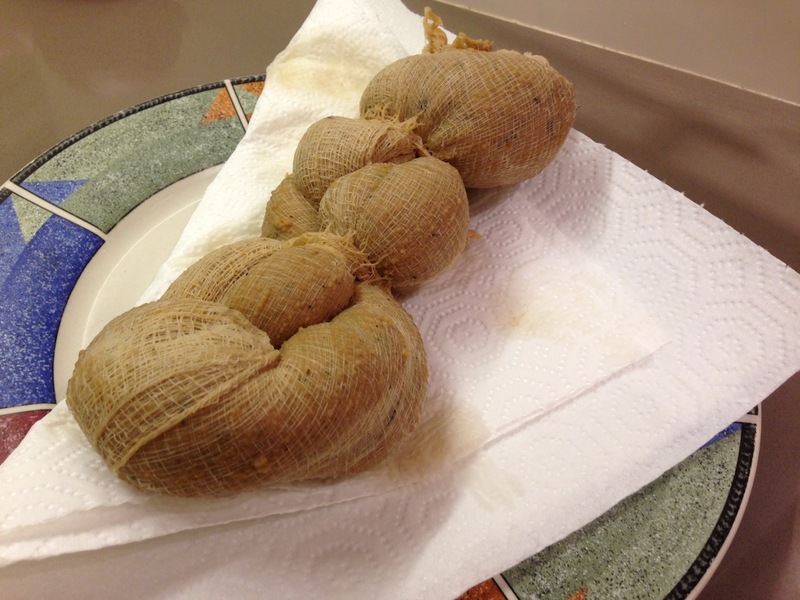 Unwrap the seitan, and let the cooked chunks rest for another 10 to 15 minutes. 9. 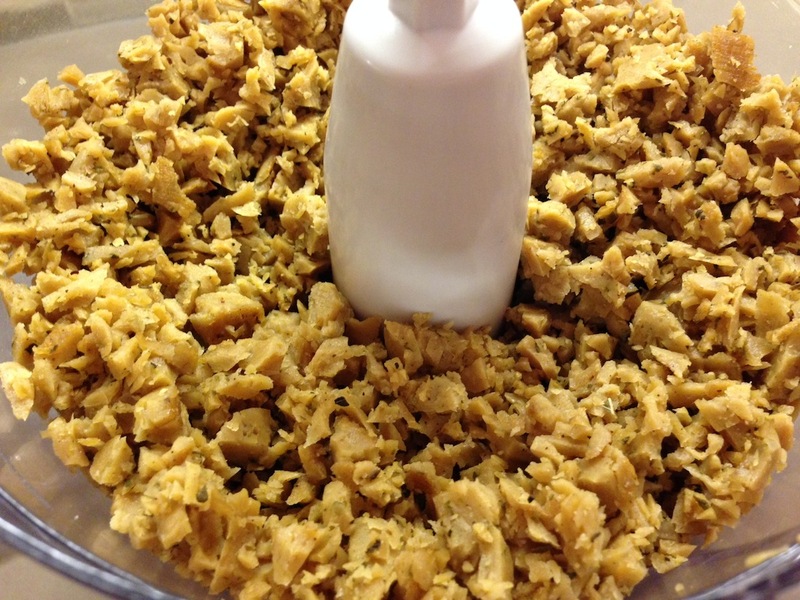 Pulse the cooked seitan chunks in a food processor until you have small pieces that resemble cooked ground turkey. 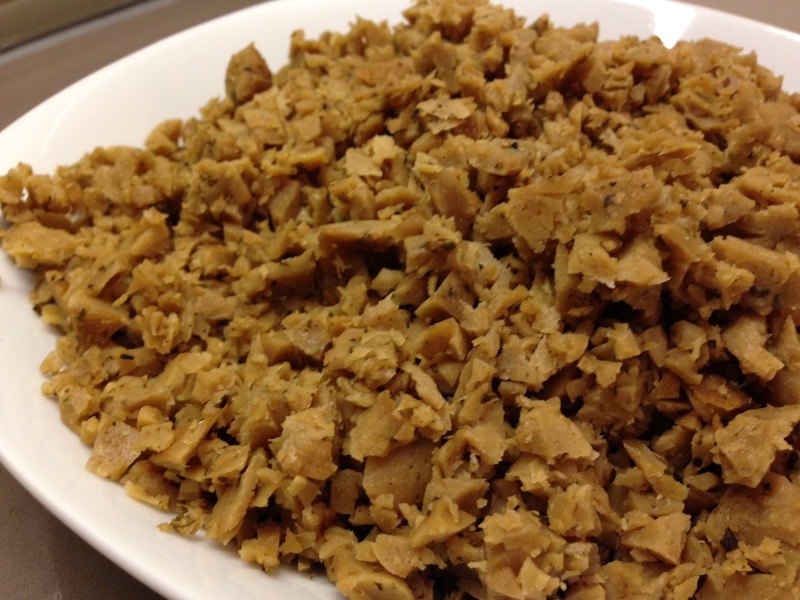 Store the cooked seitan in a airtight container like a ziplock bag. 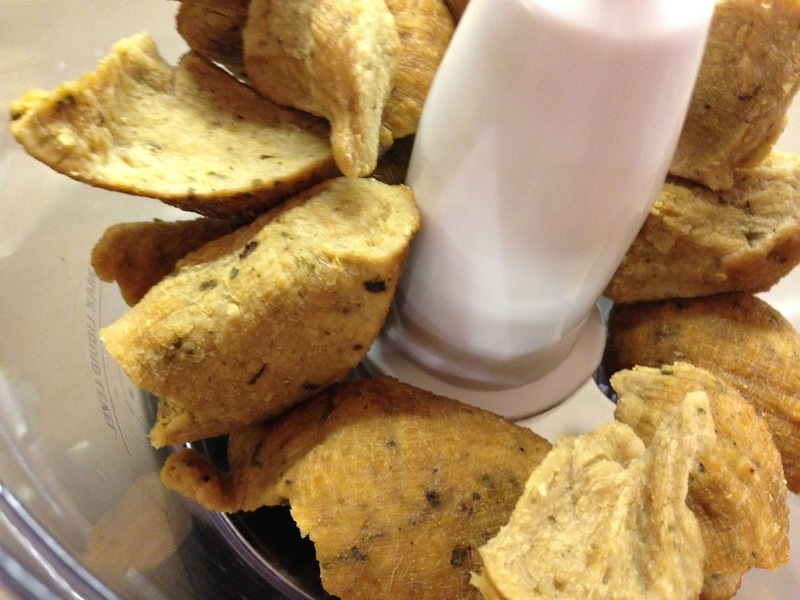 This is the best seitan recipe I have tried ~ and I’ve tried MANY! Maybe it’s the starch, which I haven’t seen in other recipes. It has great texture ~ doesn’t get rubbery or tough like most. 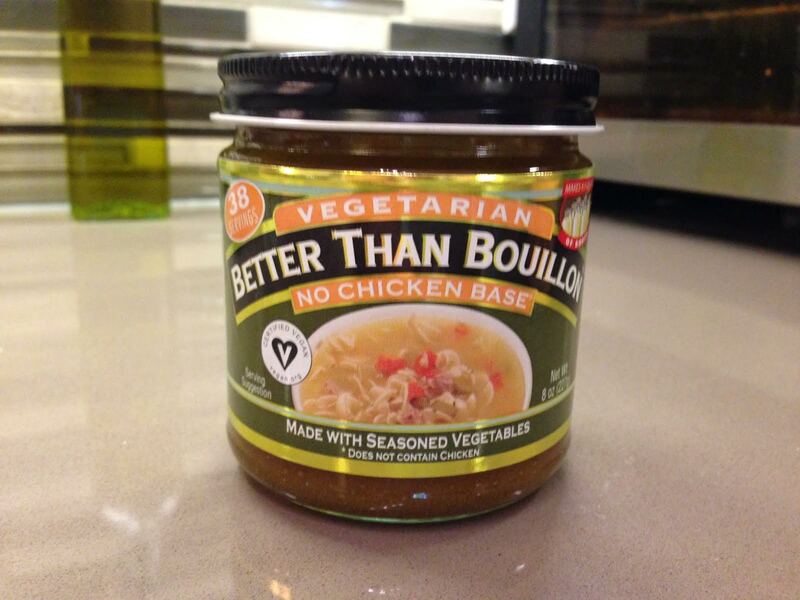 This will certainly become a staple in our big veggie household! I also made a double batch of this, and we especially enjoyed it in “turkey” meatballs. 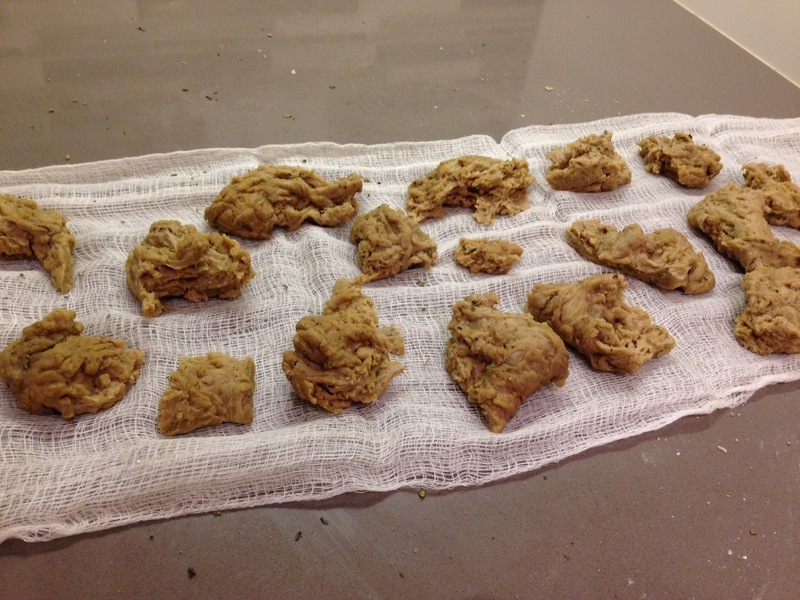 I used my bread machine to mix and knead – so easy!! Glad to hear it! Yes, the starch definitely helps with the texture. This looks really good. I don’t have tapioca starch, though. I was going to ask if I could leave it out, but it sounds like it is a necessary ingredient. Could I use arrowroot or whole wheat flour instead? If you are going to leave the tapioca starch out, then don’t replace it with anything. In this recipe, the tapioca starch contributes to the texture, so the seitan would taste just fine but it won’t necessarily be as sausage like as it could be! I use corn starch instead of tapioca starch which I couldnt find. All content is © 2019 by Veg with an Edge. All rights reserved.